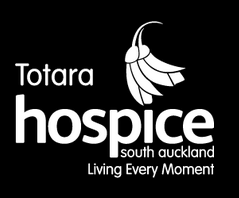 Since its establishment Scarecrow has been a sponsor of the South Auckland annual Totara Hospice “Longest Lunch” fundraiser, providing staff, products and auction items. Tickets are now on sale for this year’s event now. We sponsor the stage flowers for all the APO concerts throughout the year, and support their major annual fundraiser for music education, APO Connecting, which brings music and music education to low decile schools in the Auckland region. This is the third year we have sponsored and hosted the DocEdge Film Festival directors dinner, a fantastic way to support the important work of film directors who often tell the important, inspiring, difficult or unusual stories that otherwise may go unheard. At the end of most days our staff take unsold sandwiches and salads to the nearby community fridge. This is a ”Love Food Hate Waste” initiative that has proved so popular that we often find the fridge empty. Now you too know what to do with any excess but still delicious food in the central city. As we are located on the university graduate procession route a relationship with the Kate Edger Educational Trust became a natural fit. This trust supports women into education. This year we will provide flowers for the Kate Edger annual recipients awards dinner!